July 1, 2013 /0 Comments/in Diabetes /by Jenn F.
Diabetic foot wounds are a common complication for diabetics. Of the nearly 30 million people with diabetes, 15% will develop a foot ulcer at some point, according to the Centers for Disease Control and Prevention (CDC). 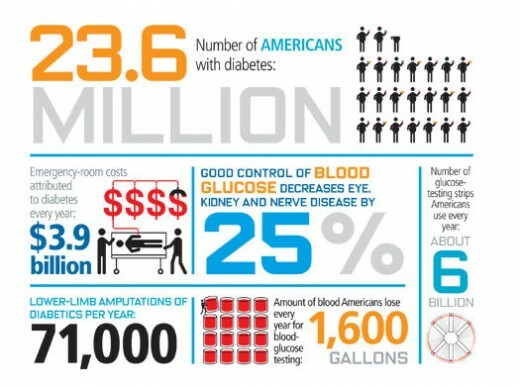 Worse yet, 84% of all lower leg amputations are from diabetic foot ulcers that became infected and could not heal. The American Diabetes Association reports that the cost to heal a foot ulcer is $8,000 — unless it is infected, in which case the cost jumps up to $17,000. A major amputation costs $45,000. Not surprisingly, pharmaceutical companies are scrambling to find ways to prevent this devastating outcome as easily and affordably as possible. The U.S. Food and Drug Administration approved a new, non-prescription ointment manufactured by Aidance Skincare in Rhode Island. Clinical studies showed that Terrasil™ works to heal chronic wounds up to 370% faster than conventional treatment. Since it was introduced in October 2012, hospitals throughout the U.S. have used this medication to heal diabetic foot ulcers faster. Even in this setting, the ointment supported healing 2-4 times faster than other treatments physicians and hospital workers had on hand. Currently, clinical evaluations at 18 U.S. hospitals are underway, testing its effectiveness on hardest-to-heal wounds. In vitro, Terrasil was shown to kill bacteria up to 21 times more efficiently than Bacitracin, Triple Antibiotic Ointment and silver gels. According to the manufacturer, the ointment works by providing barrier protection — thereby reducing the risk of infection and supporting healing. The mixture of patented mineral complex, active ingredients and organic extracts has been awarded several patents. 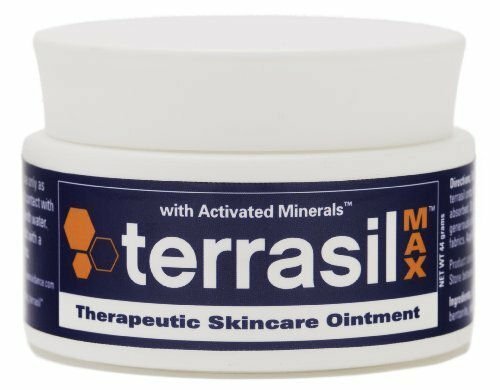 Terrasil is available in 14-gram and 44-gram sizes, but the cost isn’t cheap. You can expect to pay between $24 and $57 per container. The good news is that Aidance Products is offering a number of great specials right now, where you can get a 14-gram sample for as low as $12. If your local pharmacy doesn’t carry the product, you can always buy it online via Amazon or the Aidance Skincare website. Of course, there is no miracle ointment that can substitute due diligence in physically checking for cuts, scrapes or wounds. Since diabetics often suffer from peripheral neuropathy, they cannot feel the pain of a foot injury like most people would. Applying ointment and covering a small wound early would be the best course of action. Be sure to call a doctor if the wound does not appear to get better within a week, at most. We also recommend that you wear appropriate footwear at all times and sterilize your shoes with the SteriShoe UV light shoe sanitizer each day to kill 99.9% of the harmful microbes thriving there. Yellow Nails: Toenail Fungus or Onychatrophia? Copper Oxide Socks: Are They A Safe Way To Prevent Diabetic Onychomycosis?